This guest post is by Julia Hausen of AchooAllergy.com. Navigating seasonal changes isn’t easy when you have sensitive skin, and summer presents its own unique problems. Although there are several skin care products on the market, you may only find a few that cater to your skin type. In addition to staying moisturized, you’ll have the added challenge of finding products that offer adequate sun and bug protection without irritating your skin. If you struggle with sensitive skin care during the summer months, the following guide will help you protect your skin without setting off your allergies. Spending time in the sun is important for your health. When you expose your body to sunlight, it synthesizes vitamin D, which helps you absorb calcium. Consistent sunlight exposure will regularize your circadian rhythm, the biological clock that helps you wake up in the morning and fall asleep at night. Sunlight can also brighten your mood and helps fend off seasonal depression. Despite all the health benefits associated with sunlight, if you go out in the sun regularly without proper protection, it can easily become your skin’s enemy. When choosing a sunscreen, you want to use products that have a sun protection factor (SPF) that will meet your skin’s particular needs. For example, SPF 20 will give you around 20 times more sun protection than you would have without sunblock. Therefore, if you usually burn in under 20 minutes, using SPF 20 sunscreen will allow you to stay in the sun for up to 400 minutes. However, this doesn’t mean you should choose a sunscreen with the highest SPF factor. 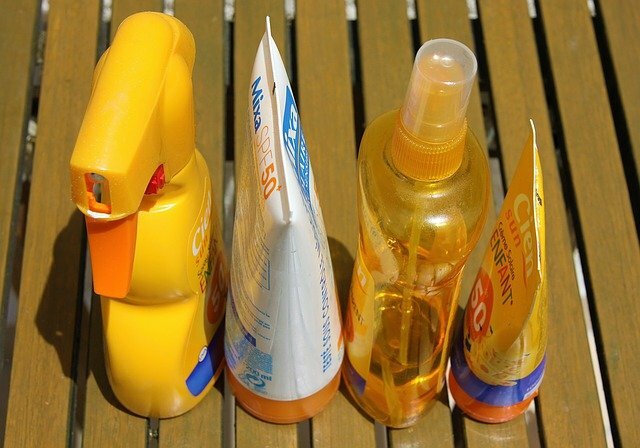 Sunscreen with higher numbers won’t offer additional protection, and most dermatologists recommend using products between SPF 15 and SPF 30. Additionally, you should look for a hypoallergenic sunscreen or one labeled “fragrance-free”. The synthetic fragrances in sunscreens and lotions contain alcohols like methanol and isopropyl alcohol that can cause skin irritation. Going for a swim is a great recreational summer activity, but if you have sensitive skin, it’s best to save your swimming escapades for the beach. Public pools often provide convenient ways to cool down while spending time with family and friends, but they are the worst places for anyone with sensitive skin to hang around. Chlorine, the primary disinfecting agent added to public pools, is a known skin irritant. Adding chlorine (or bromine) to pool water keeps pools clean and kills harmful bacteria. However, it can cause a condition called “irritant dermatitis” or inflammation of the skin. Irritant dermatitis manifests as bumps, blisters, redness or a deep itching beneath the surface of your skin. If you have sensitive skin but don’t exhibit these symptoms after swimming in a pool, it’s still in your best interest to limit how much time you spend in the water. Chlorine cleans harmful substances in pools by lowering the pH of the water, making it more acidic. The more acidic the water, the drier it will make your skin. If left unaddressed, dry skin can progress into flakiness or cause sudden flare-ups of eczema or acne. In addition to understanding your skin’s sun protection needs, it’s important to know how to keep your skin moisturized during the summer. Moisturizing is the single most important thing you can do for your skin. Moisturizing prevents your skin from drying and promotes its natural elasticity. It also reinforces your skin’s ability to defend itself against harmful substances. Skin is the body’s first line of defense. When your skin is dry, it can develop tiny cracks on its surface, which may allow bacteria past your skin’s natural defenses. If they penetrate deep enough, these bacteria can cause skin infections. Although natural skin moisture levels differ from person to person, sensitive skin has a greater tendency to dry out quicker. You’ll want to use a light, viscous lotion, especially one that highlights its hydrating properties. Oilier lotions are better for winter because they lock in moisture and form an extra barrier against the cold. However, they can limit your skin’s ability to breathe. Remember to look for lotions with “hypoallergenic” or “fragrance-free” labels on the bottle. Scented lotions smell great, but the alcohol in their synthetic fragrances will make your skin dry out faster. One of the biggest favors you can do for your skin during the summer, besides moisturizing frequently, is drinking water. Your body contains around 40 to 70 percent water, and all your organs need water to function. Drinking water will keep you feeling refreshed and helps your body maintain a comfortable temperature in the hot summer sun. Staying hydrated helps your liver and kidneys filter toxins out of the body, which can also help manage skin-related issues like pimples, acne and inflammation. Skin is the body’s largest organ, and it is comprised of at least 65 percent water. When you’re outside on a hot day, the body works hard to maintain its regular temperature by cooling itself with sweat. If you don’t replenish the fluids you lose through sweat, your organs, including your skin, will become dehydrated. Dehydrated skin is dry, flakes easily, wrinkles prematurely and is more susceptible to the elements. To keep your skin happy and healthy, you need to drink a lot of water throughout the day. Most nutritionists say you need to drink at least eight 8-ounce glasses of water a day. No one likes mosquito bites, but if you have sensitive skin, protecting yourself from summertime swarms can be difficult. 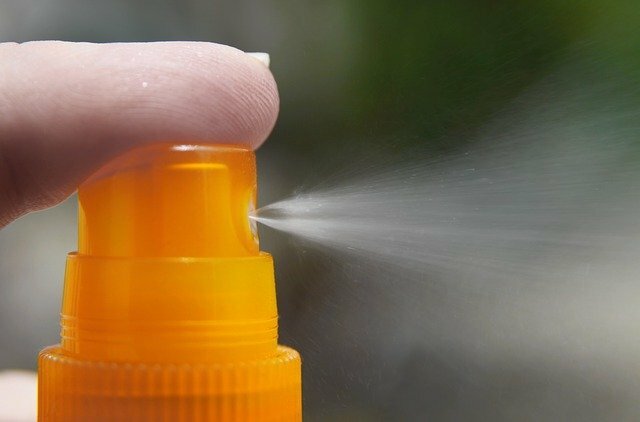 Bug sprays and lotions contain potent insecticides like diethyltoluamide or DEET. Unfortunately, individuals with skin sensitivities and allergies often have adverse reactions to the compound. Allergic reactions to DEET can range from mild to moderate burning, and, in severe cases, permanent skin damage. If you’re worried about reacting to DEET, look for bug spray alternatives that contain natural bug repellents, like citronella. If skin is your body’s first line of defense, then clothing is the armor that safeguards your skin. Therefore, in the summer, it’s important to find temperature-conscious clothing that protects you from the sun. Bright colors like white, yellow and light blue will help you stay cool while reflecting harmful UV rays. For particularly hot and sunny days, you can protect yourself by wearing pale linen shirts and cardigans. Linen is a lighter, more breathable fabric than cotton, so you can wear long sleeves without overheating. You should also find a wide-brimmed hat and sunglasses to shield your face from the sun. A large hat will help protect the skin on your face from damaging sun rays and lower your chances of suffering from heat stroke. Sunglasses cover the delicate skin around your eyes, which is prone to dehydration and premature wrinkling. Skin care can be hard to manage in the summer if you have sensitive skin, but your skin type shouldn’t stop you from enjoying the weather. As long as you wear protective clothing, stay hydrated and moisturized, and use products that don’t contain irritating agents, you’ll be able to have fun in the sun all summer long.